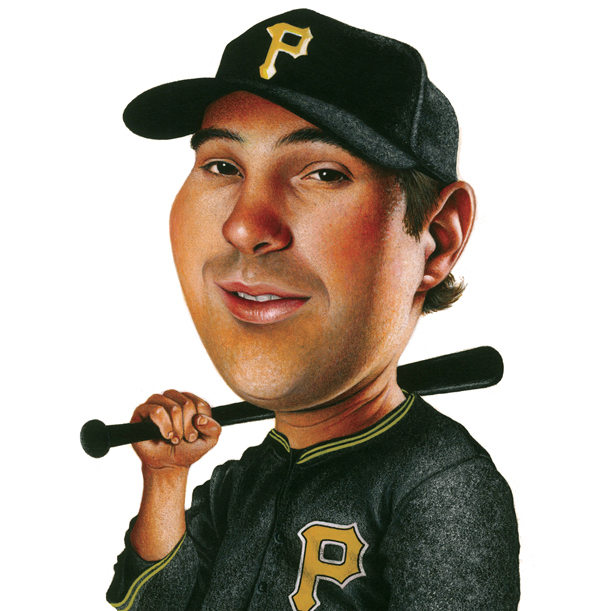 When I heard the news the Yankees had signed free agent infielder Neil Walker, I admit it did not excite me. I had thought Walker might be an infield possibility before the Yankees acquired Brandon Drury from the Arizona Diamondbacks (in fact, TGP’s Bryan Van Dusen called it out as a move the Yankees should make before Drury found himself in Tampa with our favorite team). But once Drury arrived, I didn’t give it another thought. The reaction among the Yankees Universe has been very mixed. Countless fans feel that Walker blocks the very talented rookies, Gleyber Torres and Miguel Andujar. I don’t look at it that way. For a one-year contract at $4 million plus incentives, this is not a marriage. It is a dinner date at McDonald’s. Walker may break camp as the starting second baseman but there’s no doubt that Gleyber Torres will be the man when he is ready. Gleyber needs the additional time at Triple A as he continues his comeback from Tommy John surgery on his non-throwing arm. He has shown this Spring that regardless of his MLB service time clock, he would greatly benefit from the added time in Scranton/Wilkes-Barre. Torres is going to be a star and there is nothing that Neil Walker can do about it. Brandon Drury is the starting third baseman. With no offense to Miguel Andujar, Drury was not acquired to be a backup. The Yankees see too much potential in the player and feel that they can convert a number of those Drury doubles into home runs. The Yankees gave up two talented prospects in second baseman Nick Solak and pitcher Taylor Widener. At that price, they weren’t paying to get Drury as a part-time player. Perhaps Andujar goes to Pennsylvania and crushes Triple A pitching. There’s nothing wrong with two players fighting for one position. It’s a very good problem to have. For now, Walker’s arrival most likely means that Andujar will be joining Torres in Scranton. But like Torres, Andujar will be back. When he proves his defensive game has caught up with his bat, only a major trade for a starting pitcher could keep Andujar from pulling on the pinstripes. Walker certainly won’t stop that from happening. I felt and probably still feel that Tyler Wade will see significant starts at second base. Worst case, I can see him in a platoon role with Walker at the position until young Gleyber arrives to take control. Best case, he breaks camp as the starter with Walker on the bench. To me, the potential losers with the Walker signing are utilityman Ronald Torreyes and non-roster first baseman Adam Lind. Torreyes may make the Opening Day roster. In fact, I think it’s almost a certainty. But, when Torres and Andujar arrive in the Bronx with their minor league assignments completed, Torreyes is the potential odd man out. I thought Lind might have a chance to make the roster since the Yankees, for whatever reason, do not seem enamored with Tyler Austin. But with Walker’s ability to play first base (not to mention Drury too), Austin brings more to the team than Lind does as a right-handed first baseman (nice complement to the lefty-swinging Greg Bird) who can also play corner outfield. Lind is strictly 1B/DH. But Austin’s spot is not a given as the Yankees could opt for Billy McKinney if Jacoby Ellsbury and Clint Frazier are unable to start the season. McKinney has limited experience at first base, but the presence of Walker helps offset his inexperience. 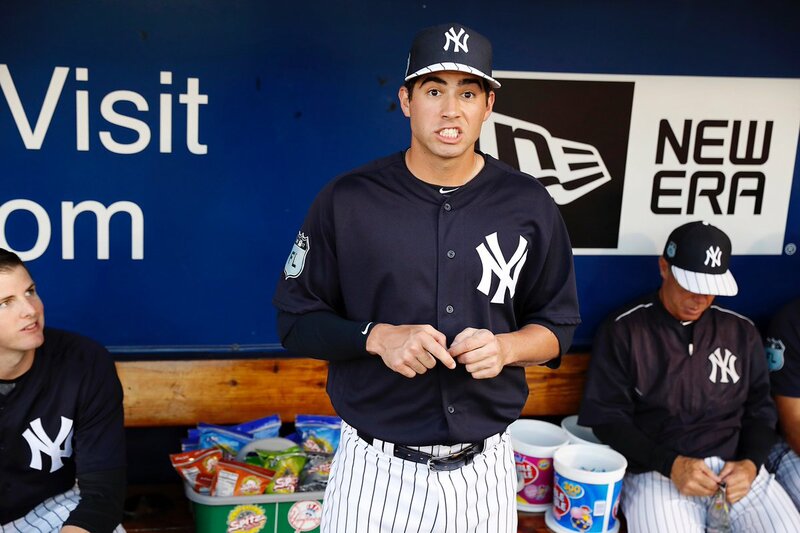 To make room for Walker, the Yankees designated outfielder Jake Cave for assignment and released non-roster invitee Danny Espinosa. Shortstop Kyle Holder was also re-assigned to minor league camp. I’ve always liked Cave but he was squeezed by players ahead of him like Frazier and McKinney and was feeling the heat from hard charging younger prospects. Cave was in camp with the Cincinnati Reds a couple of years ago as a Rule 5 draftee. He opened some eyes although he proved he wasn’t quite ready for the Show. 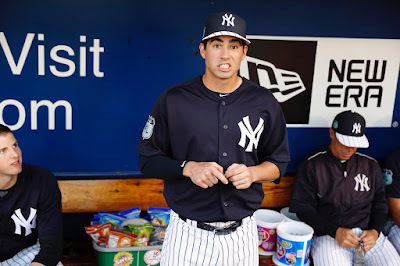 Hopefully, GM Brian Cashman is able to flip Cave for a younger prospect rather than simply letting him go for nothing. I was never excited about the addition of Espinosa. He was a decent player for the Washington Nationals a few years ago, but he wasn’t going to scare anyone with his bat. His poor reaction when the Nats acquired outfielder Adam Eaton which pushed star Trea Turner from the outfield to shortstop, displacing Espinosa, always bothered me. So, for me, I’ll gladly take Walker over Espinosa. The switch-hitter still has some pop left in his bat, and he is a very versatile dude (health-permitting). 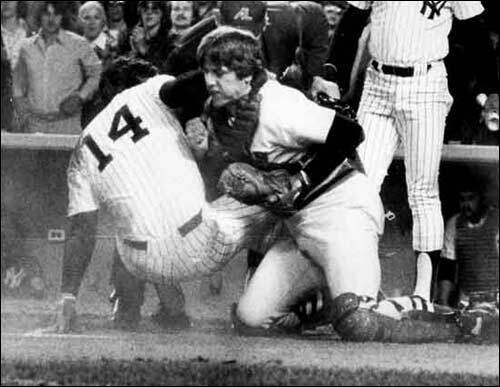 Walker was assigned Starlin Castro’s number 14 (most recently worn by Espinosa). For me, the number is forever associated with the great “Sweet Lou" Pinella. By now, I don’t think any Yankees fans are expecting the team to add a starting pitcher before the start of the season. My early favorites for trade deadline candidates are Chris Archer and Danny Duffy. The Los Angeles Dodgers have long been interested in Archer, so I’d probably rate Duffy as the most likely choice if he can be pried from the Kansas City Royals. Personal preference, no doubt, is Archer. The health and performance of the existing starting five will obviously dictate what the Yankees do in July. It’s early, but I’ve been impressed with young right-hander Domingo German and would like to see him become the rotation’s sixth man in place of Luis Cessa. Good times. I am ready for the season to start. The Possibilities Are... Nearly... Endless.